We’re saying “I do” to Pearhead Wedding! Their new collection of chalkboards and frames are modern, romantic, and fun. The perfect gift for any couple! We are especially loving the wedding chalkboard set which includes 3 different chalkboards and mint and white colored chalk. The three chalkboards are designed to share your entire wedding journey, from engagement to the countdown to wedding day! The announcement chalkboard is great to let everyone know you’re engaged! It’s such an exciting time in your life, this chalkboard is the best way to share your engagement with everyone you love. 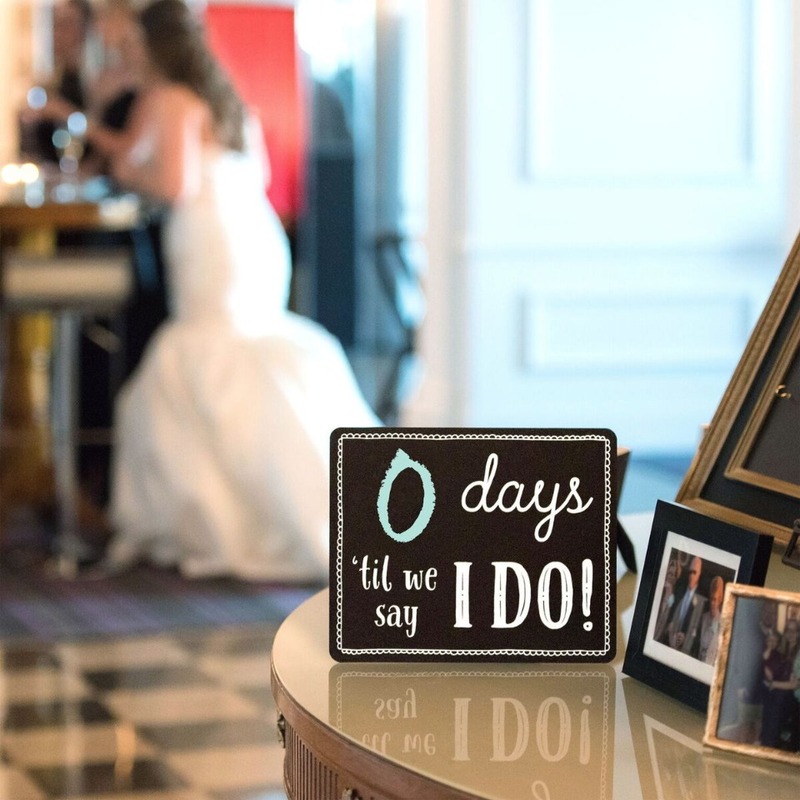 The countdown chalkboard is a fun way to get ready for the big day. Share the countdown on Instagram and keep around your home to countdown the days with your other half. 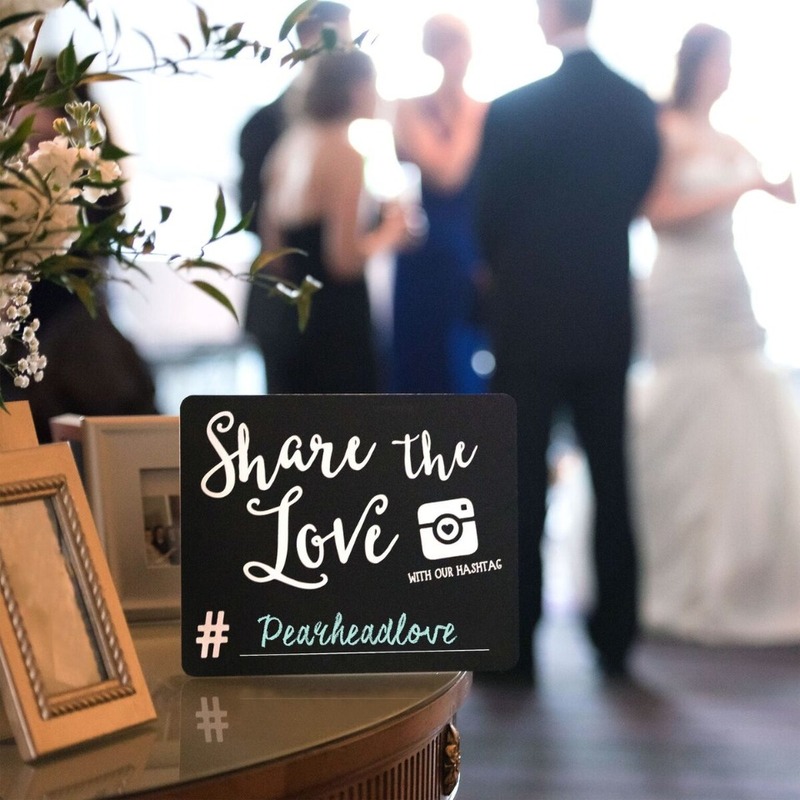 The custom hashtag chalkboard is perfect for letting your guests know your hashtag before and during your wedding reception. All of your guests will have fun sharing your hashtag on their social pages. And the best part? All three chalkboards are included in one set! We love how on trend these chalkboards are. Even the mint chalk included is on trend! They are the perfect prop for your ‘save the dates’. And they can be reused for all of your wedding activities because of how easy to clean and customizable they are. Newly engaged and soon-to-be brides, don’t worry! The entire collection of Pearhead Wedding is available exclusively at Bed Bath & Beyond, sold online and in stores. It’s the perfect addition to your registry or to pick up for your engagement photoshoot. Retailing at only $19.99. Shop these chalkboards at Bed Bath & Beyond now. Follow @pearheadinc on Instagram for more of their exclusive chalkboard sign ideas.